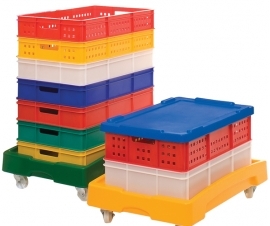 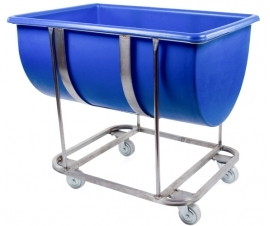 We offer a large range of food handling containers, from tubs and ingredient dispensers to trucks and troughs. 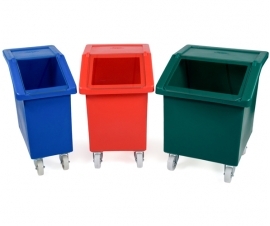 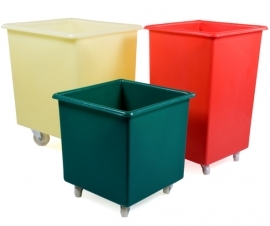 Suitable for raw products, meats, fruit and vegetables, these containers are ideal for the food industry, kitchens, bars, pubs and restaurants. 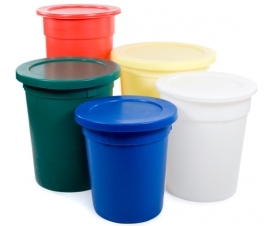 Food handling containers, tubs, bowls, troughs and ingredient dispensers in our range are made from food grade plastics and suitable for raw produce, meats, fruit, vegetables, liquids and other ingredients. 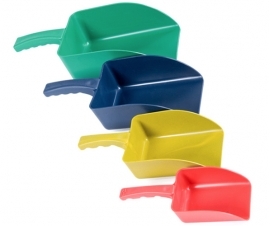 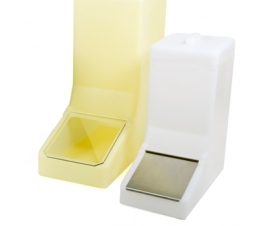 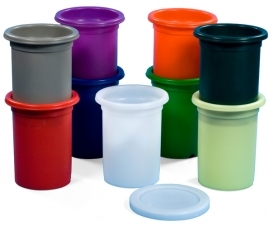 The food grade containers in our range are hygienic, easy to clean and available in a choice of colours (ideal for colour coding). 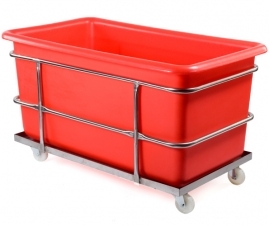 Mobile container solutions available for easy transportation of ingredients and liquids in food preparation areas. 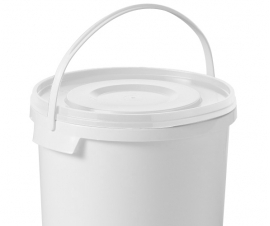 Our food storage container range also consists of re-sealable food grade (near air tight) buckets, extra-large plastic troughs, scoops and other ingredient sundries.